A ten year dream came true following immense perseverance from Robert Moore (Bob), Michael Richards, Michael Jenkins and Roger Martin. Their record beat Canadian Richard Synergy's 2000 record of 14,509 feet above ground level. It was at Cable Downs, a 50,000 acre sheep station, 40 km northwest of Cobar in western NSW. 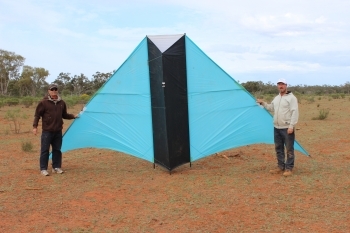 A 12 square metre Dunton-Taylor delta kite with a wing span of 6 metres and a height of 2.8 metres was flown on 12,620 metres of high strength, 0.8 mm diameter, Dyneema braided line. An electric winch was used to control the line payout and retrieval. 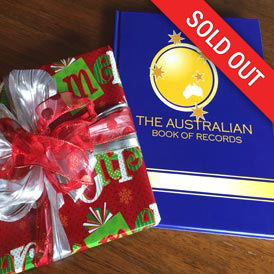 The authorising bodies were Civil Aviation Safety Authority and Airspace Australia. From August 2000 Canadian Richard Synergy held the record. He claimed to have flown a large delta kite to 14,509 feet above ground level. Bob's quest to break this record began in 2002. After two years of planning and development of kites, winch and techniques, Bob was ready to fly 10,000 feet. The permit for this flying zone took over a year of negotiation with CASA, the Civil Aviation Authority. 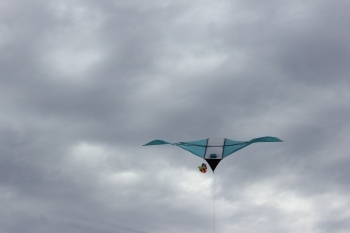 Following multiple flights over ten years, Bob and his team's perseverance was rewarded when he managed to fly a kite 16,010 feet above the launch point, a new world record. There had been over 2 years of negotiations with the Civil Aviation Safety Authority to establish the flight rules and find a remote location free of air traffic. The location was also chosen because of the proximity to a weather station at Cobar. Bob believed the initial strategy of flying a relatively small 12 sq meter kite, on very thin Dyneema line, has proved correct. The DT Delta we chose is relatively simple, easy to assemble and a superb flyer. Selecting this design was a much cheaper option than other types so we could afford the best lines, winch and tracking electronics. 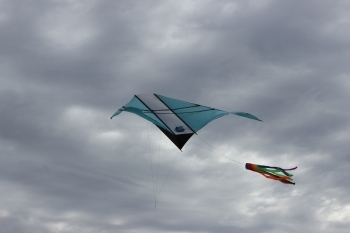 The kites were professionally made by Mike Richards, team member and proprietor of Kite Magic, in Sydney. All other work was done in my workshop, apart from some machining work by Lewis Pulleys and Nick Moore. No matter how good the kite, line and winch is, the ultimate success depends on the wind. In front of 55,000 fans, Melbourne Victory humiliated Adelaide United in the grand final of the A-league.